Hello my friends! It's September 1st! 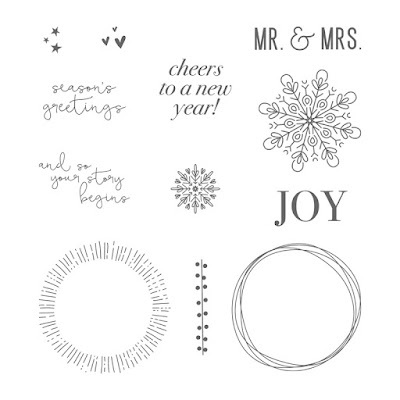 That means it's new Stampin' Up holiday catalog day! Yay! It also means it's day one of my 12-day Fall for Holiday Catalog Countdown. Each day I'll be sharing a new project here on the blog and I'll also be sending it out via email (with some special perks for my subscribers... so be sure to jump on my mailing list here). Being September 1st, it also means back to school for many kiddos -- some may have even already gone back already (is summer really over??)! So today, I'm sharing a project featuring the "Year of Cheer" Suite (pages 36-37 of the Holiday catalog). 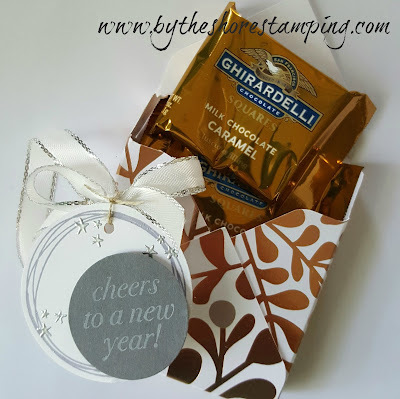 Of course, you could put any kind of treat you wanted in here... it fits two Ghiradelli chocolates perfectly, but you could also put a pair of earrings, a necklace or any small trinket in there, too. And while this stamp set is certainly not designed for a "back to school" gift, that it was I really love about it. 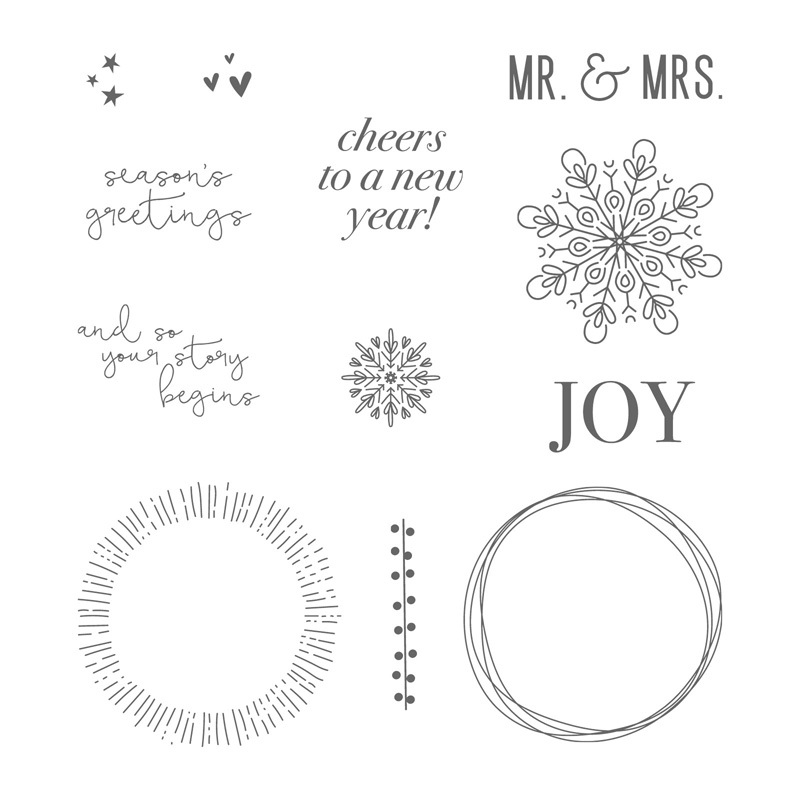 I see so much potential with this set -- of course there is Christmas and weddings, but you can also use it for New Year's Day and maybe even some fall projects... the circle elements and that little string of dots totally scream wreath to me. Okay... that's it for day one. I'll be back again tomorrow with another fun, fall crafting project. Don't forget to sign up for my mailing list so you'll get in on some super secret perks just for my subscribers. And be sure to RSVP for my online Facebook party to wrap up this Fall for Holiday Countdown on Tuesday, September 12! e-mail and I'll get one out to you. And if you'd rather look online, here is the link to a downloadable copy of the catalog OR you can shop right in my online store! What a great idea! Also gives me another way to use my envelope board! Love the paper and stamp set! 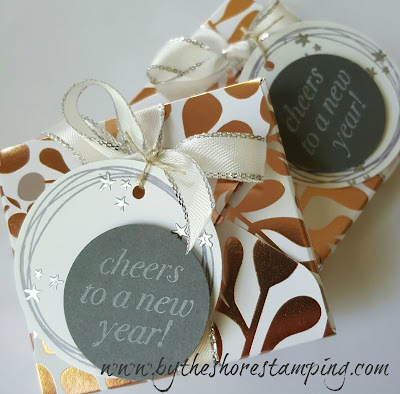 This DSP (designer series paper) is beautiful and has so many use! And so does the stamp set!! Love your box, Jen! It was so helpful to see the way to score a box on the envelope board. I don't think I would have understood how to do it without the visual instruction. What a great idea and useful for so many small gifts! That's so cool, Jen! I didn't realize you could make little treat boxes with the envelope punch board! Sweet project and the products are great! Great idea for many occasions! A great idea for so many occasions! Keep your crafty ideas coming! This is a really versatile project. THanks for posting!! !